Kowa LandScope 20x80mm Coin-Operated Binoculars are a great solution for any public facility that has a great view to share. 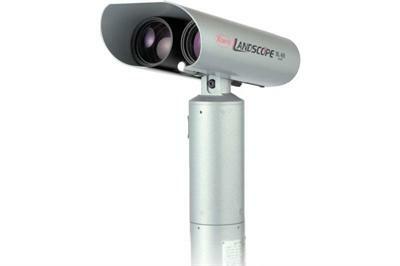 These 20x80 binoculars let you provide tourists and visitors with a fantastic view. The Kowa 20x 80mm Landscope Binoculars are ideal for skyscraper observation decks, mountaintop peaks, visitor centers at tourist attractions like dams and monuments, wildlife refuges, scenic overlooks, state welcome centers, observation towers, seaside piers and boardwalks... the list goes on and on! A permanently-mounted tower viewer lets your guests pick out the fine details of architecture, hidden wildlife on a mountain slope, ships at sea, and more. The Kowa LandScope Binocular is housed in a weatherproof metal body that's made to endure full-time life outdoors. A full mounting kit is included to let you secure these Kowa Binoculars into place, and dismantle them for storage or relocation with ease. * PLEASE SPECIFY POLE HEIGHT WHEN ORDERING THIS NON-COIN OPERATED VERSION. A COIN OPERATED VERSION IS ALSO AVAILABLE. Click the button below to add the Kowa Landscope 20x80 Observation Binoculars to your wish list.